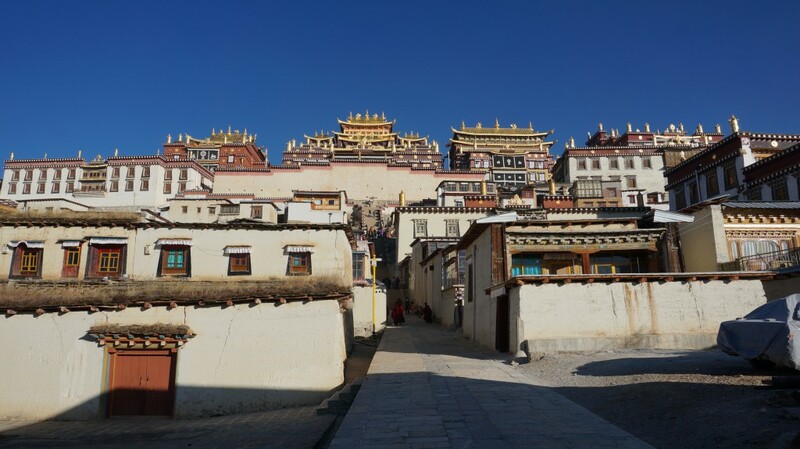 This 2-day trip allows you an unforgettable glimpse into Tibetan Yunnan, visiting China’s first National Park, Pudacuo NP; Songzanlin Temple, Napa Lake and have breakfast with a real Tibetan family. Pudacuo (Potatso) National Park, containing Shudu Lake and Bitahai is located in one of the most biodiverse regions of the world. While the region comprises only 0.7 percent of China’s land area, it contains more than 20 percent of the country’s plant species, about one-third of its mammal and bird species and almost 100 endangered species. Songzanlin Temple (Ganden Sumtsenling Monastery) is a group of magnificent and solemn architectural buildings located in the Shangri-la county and is regarded as the grandest Lamasery in the whole of Yunnan Province. Built in 1679 by the 5th Dalai Lama, the monastery is the largest Tibetan Buddhist monastery in Yunnan province and is sometimes referred to as the Little Potala Palace. Napa Lake, located at at 3,270 m (10,728 ft) above sea level, is home to a wide range of indigenous wildlife, including the black-necked crane, a bird revered by the Buddhist tradition and found almost exclusively in the Tibetan Plateau.